Full wraps too partial wraps, in house printing and installation. Shop printing quality, colorcalibration, don’t just trust, ask for referrals and look at realwork samples. 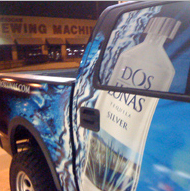 3M vinyls and overlaminations to give you the years of return on your wrap investment.